Our range of products include lab stool, revolving stool, revolving wooden top stool, laboratory stool, wooden revolving stool and laboratory ss top stool. 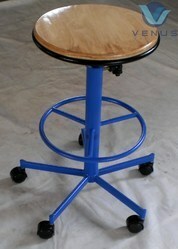 We are the Leading Manufacturer and Exporter of Lab Stool in Coimbatore, India. 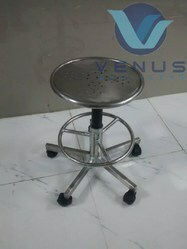 In order to cater to the diverse requirements of honorable clients, we are able to offer Laboratory Stool. The offered range of laboratory stools is made utilizing high grade raw material and highly advanced technology in strict compliance with the international quality standards. 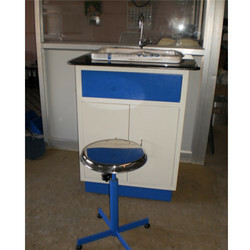 Along with this, the offered range of laboratory stools is utilized by laboratories and testing rooms across the globe. 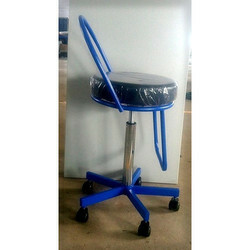 We are the Leading Manufacturer and Exporter of Revolving Stool in Coimbatore, India. 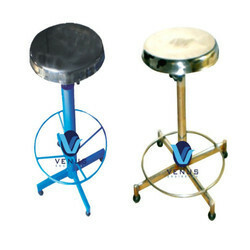 Offered by as is a quality-assured range of Stainless Revolving Stool to the customers. 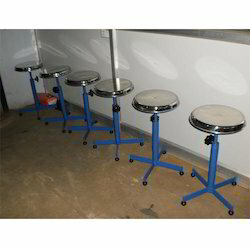 These lab Stainless Revolving stools are manufactured using premium quality steel (SS304 G)and other material that are sourced from trusted vendors. Moreover, our experts ergonomically design these stools using their skills and know-how, to offer best sitting positions. We are the Leading Manufacturer,Supplier and Exporter of Revolving Stools in Coimbatore, India. Our collection of Revolving Wooden Top Stool is fabricated using precocious techniques and featured raw materials. These stools are widely used in hospitals and clinics, which are so specifically designed to provide comfort and accurate sitting posture. 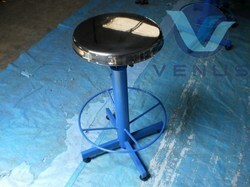 We supply Light weight stools and height adjustment knobs to stools as convenience of client is our primary objective. 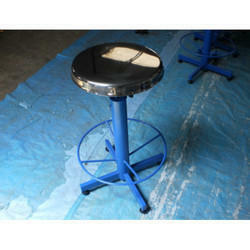 These stools are widely demanded in market for their features like transportability and easy to rotate. 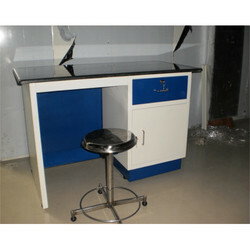 We are the Leading Manufacturer and Exporter of Laboratory Stool in Coimbatore, India. We are the Leading Manufacturer and Exporter of Wooden Revolving Stool in Coimbatore, India. 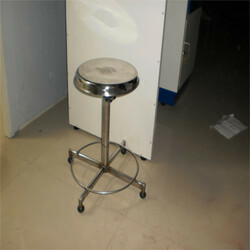 Offered by us is a quality-assured range of Laboratory SS Top Stool to the customers. 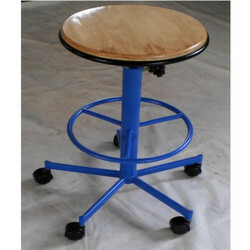 These lab stools are manufactured using premium quality steel and other material that are sourced from trusted vendors. Moreover, our experts ergonomically design these stools using their skills and know-how, to offer best sitting positions. With the valuable assistance of skilled team of professionals, we are engaged in offering an extensive range of high-quality Laboratory Chair Stools. With the valuable assistance of skilled team of professionals, we are engaged in offering an extensive range of high-quality Lab Chair. With the valuable assistance of skilled team of professionals, we are engaged in offering an extensive range of high-quality Powder Coated Stool. With the valuable assistance of skilled team of professionals, we are engaged in offering an extensive range of high-quality SS Lab Stool. With the valuable assistance of skilled team of professionals, we are engaged in offering an extensive range of high-quality Stainless Steel Revolving Stools. With the valuable assistance of skilled team of professionals, we are engaged in offering an extensive range of high-quality Laboratory SS Stool.